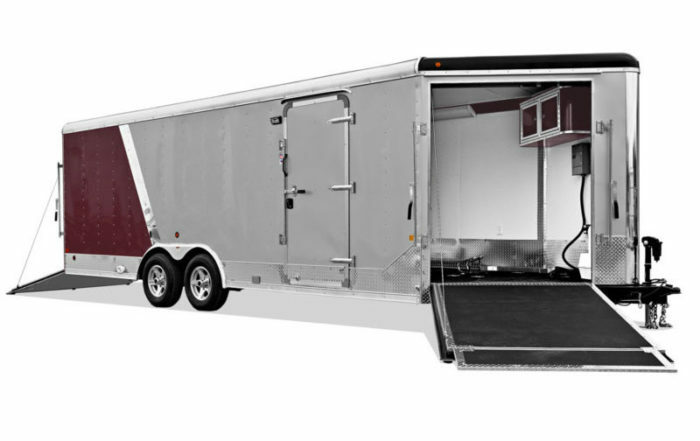 Our Sport Trailers support hard play that requires gear. 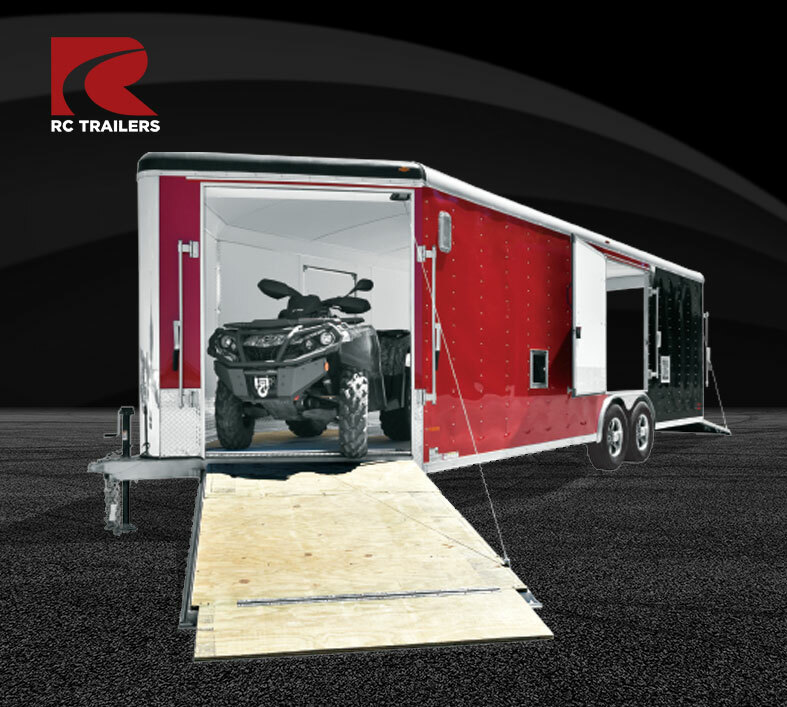 Snowmobiles, ATV’s, bikes, whatever you’ve got, RC Trailers will get the toys that crank your throttle to the fun and back. 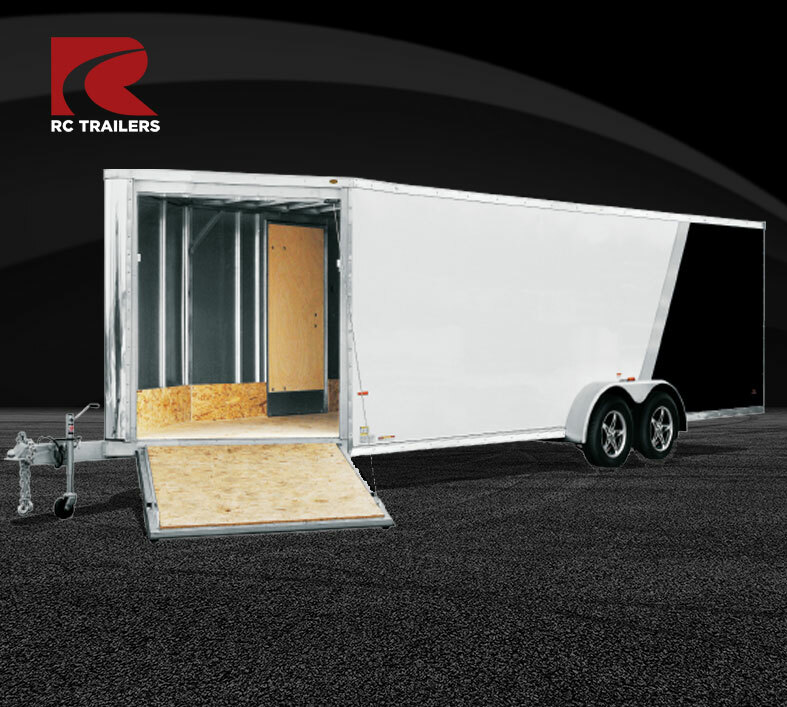 Lightweight, easy to maneuver, easy to tow, and a great price! With two trim levels available, these aluminum models are designed to haul motorcycles, quads and snowmobiles. 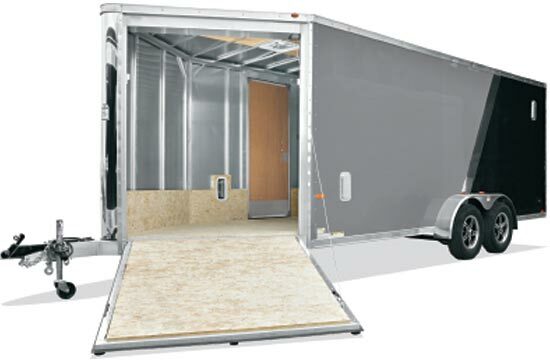 An aerodynamic wedge makes hauling all your toys a breeze. Check out both models below for more information. 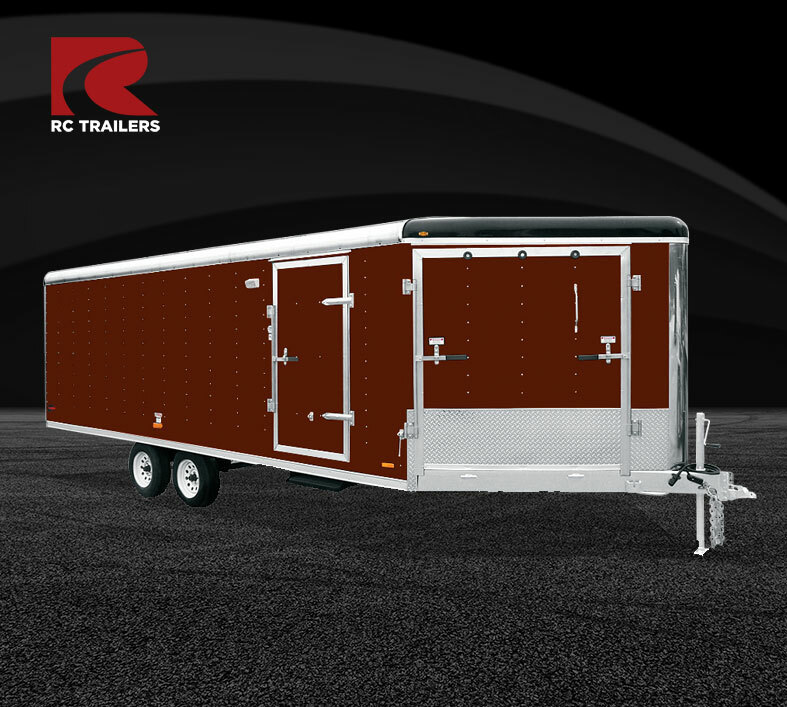 The RSVT and ART-RT models offer the conveniences of a wedge with the flexibility of a work trailer, giving you room for tools and toys alike in any situation. 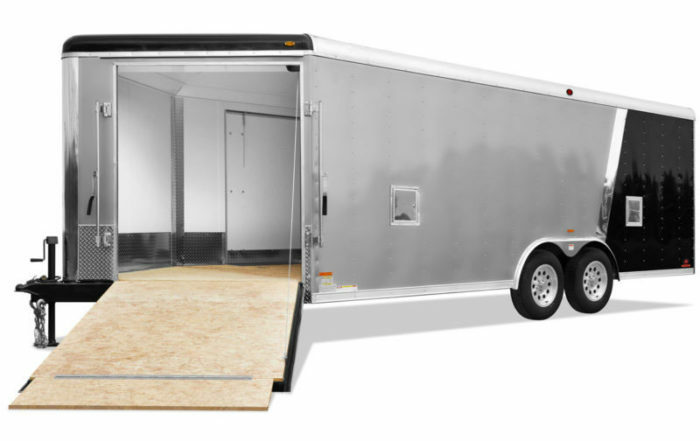 Our Combination Round Top easily sheds snow and hauls efficiently and smoothly. Check out both steel and aluminum options for more information. 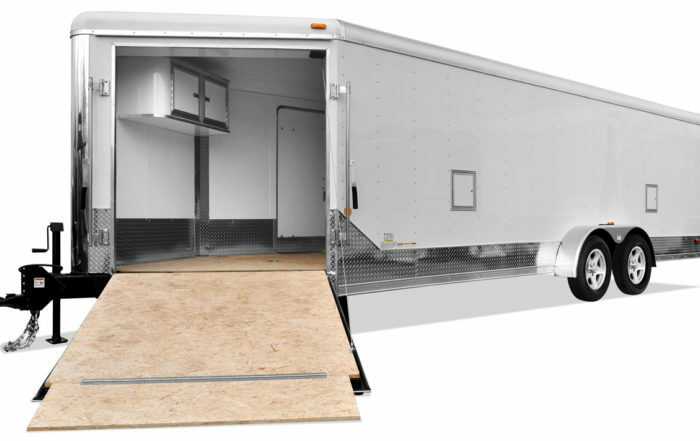 Get right to the action, no matter what kind of gear you’re hauling. 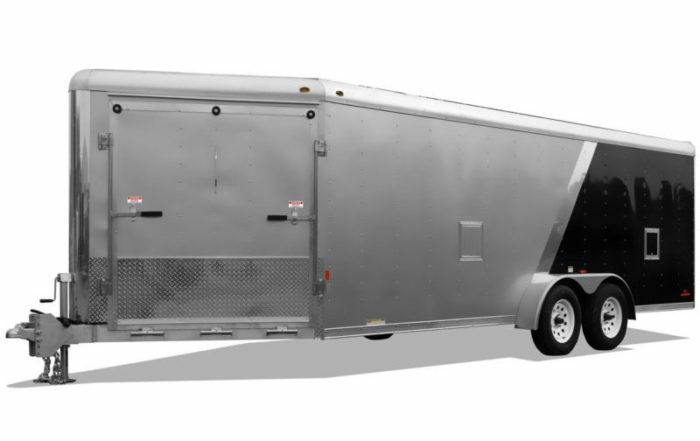 These durable options handle everything that car hauling requires, with the ease of access that snowmobiles demand. 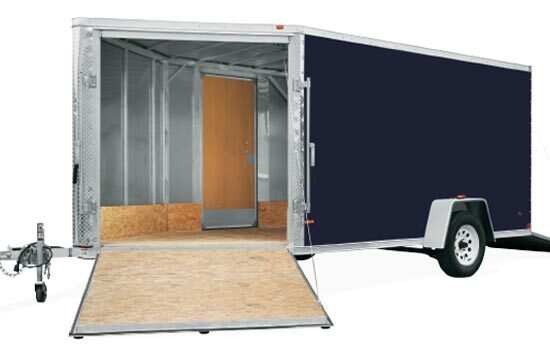 Securely stored for any voyage, your vehicles and toys are in the best hands with these trailers.